HomeNews in PerspectiveCan we all come with you to Germany for routine health checks, Mr President? Last week president Koroma of Sierra Leone reminded the world, of the lavish lifestyles lived by former and contemporary African corrupt dictators, such as the late president Mobutu of Zaire and several others, whose expensive habits included health tourism abroad. Speaking to local media, without any compunction or sense of betrayal of the poor people of Sierra Leone, who have no other choice but to make do with the creaking health service in the country, Koroma said that he has always travelled abroad for his annual routine medical checkup. Routine checks – all the way in Germany? What’s wrong with the handful of highly qualified private doctors in Sierra Leone? Are they not good enough for the president? Many would say that for a president who only a few years ago bulldozed his $500,000 family home in the leafy suburbs of the capital Freetown, to build a $5 million mansion, the president’s annual trip abroad as a health tourist does not come as a surprise. But for a population of 6 million people, whose daily struggle to meet basic needs, left with no other choice but to use local health services, doctors and nurses, this audacity must come as a slap in the face. It is a big shame and a blot on Africa’s already battered image, when one of its leaders deemed by many of his supporters as Africa’s best, is flying abroad for annual routine medical checkups, effectively dismissing and helping to deskill the country’s highly qualified local medical specialists. President Koroma of Sierra Leone – a man said to be worth over $200 million, has clearly shown that he does not have confidence in the country’s healthcare system, which he is credited by his supporters to have created and managed in the past 8 years, nor does he trust and have confidence in the country’s doctors. This elitist disconnect between a president who regularly walks on the loin cloths of jubilating market women, has once again shown his shameless audacity and disregard for the sensitivity and deplorable circumstances of the common people who voted him into power. 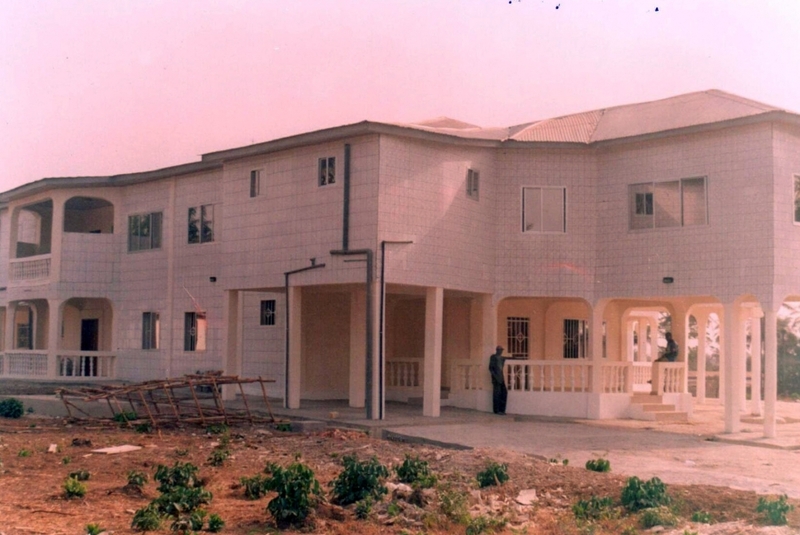 (Photo: One of several mansions built by the president in his home town since coming to power in 2007). Throughout the 1960s and 1970s, successive leaders in Sierra Leone – Milton Margai, Albert Margai and Siaka Stevens, placed their utmost confidence and faith in two of the country’s finest doctors – Dr Abdul Afyz Hardy and Dr Eleady – Cole. They entrusted their lives into the hands of local medics, rather than fly abroad for expensive routine medical checkups the country’s taxpayer could ill afford. A leader that has spent a ‘lifetime’ in politics preaching about attitudinal change, only to then turn around and shamelessly behave differently, should only blame himself when accused of hypocrisy and double standards. 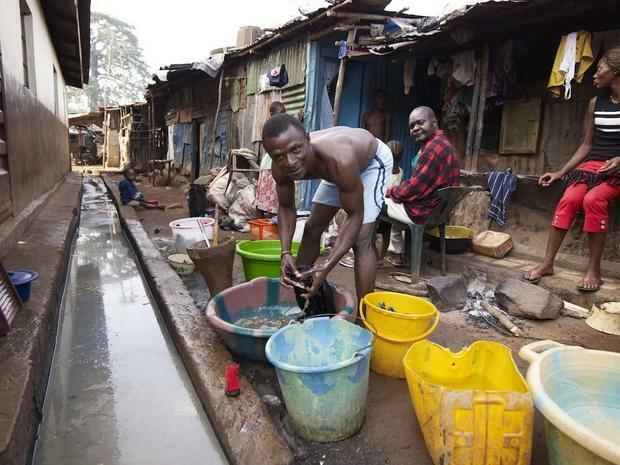 Sierra Leone is one of the poorest nations in the world, now battered by the effects of the Ebola virus disease. Average daily income per capita is less than a dollar; over 80% of the country’s youth are unemployed; external debt is now more than $1 billion – an unbelievable increase from zero in 2002; average adult mortality age of 40 years; with almost 30% of pregnant women and girls, still dying in childbirth; and 40% of children dying before they are five years old. 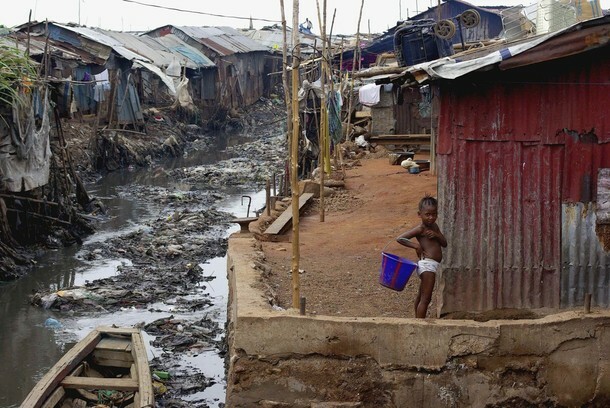 The government continues to struggle to provide access to clean drinking water and electricity to over 80% of the country’s population, while poor sanitation accounts for and contributes to one in three deaths. 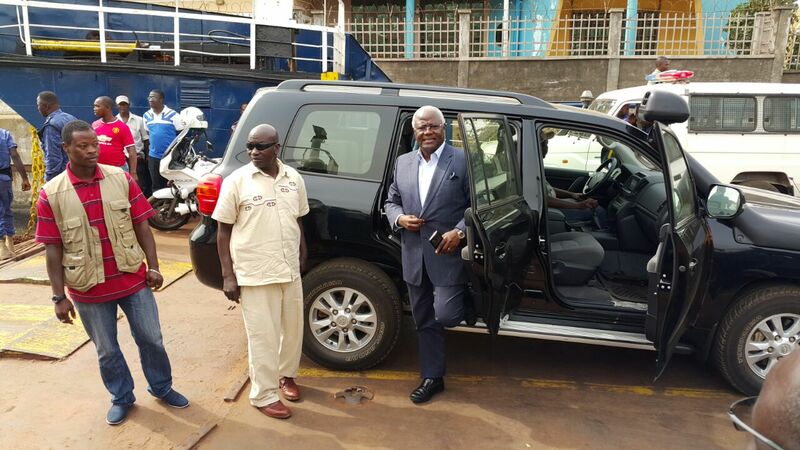 Does president Koroma – the health tourist, really care? President Koroma is now calling for the international community to cough up billions of dollars to help rebuild the country’s healthcare system and take care of the sick, whilst jetting abroad for his routine health checkups, after decades of under-investment and corruption by his government. 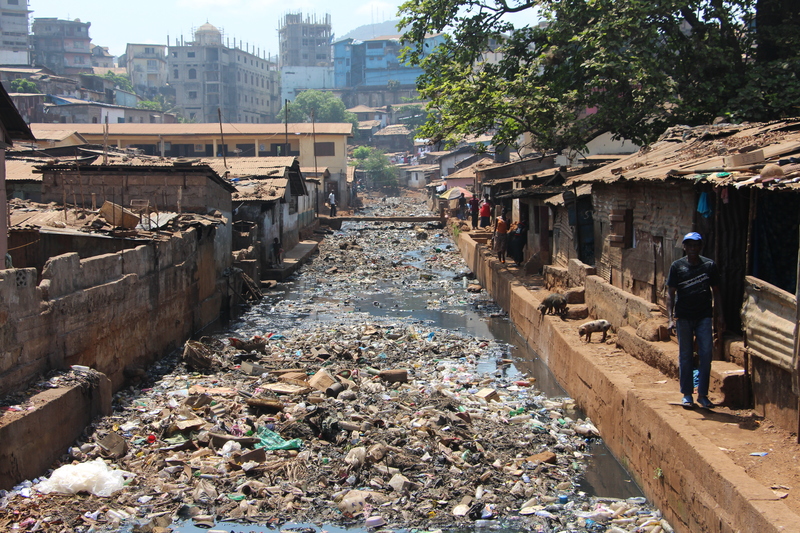 As a millionaire health tourist – unlike his fellow compatriots in Sierra Leone, his decision to personally invest hundreds of thousands of dollars abroad every year, instead of supporting local services, must be directly responsible for the dilapidated conditions the country’s health, water and electricity systems are in today. As 2017 fast approaches, the people of Sierra Leone just cannot wait to see the back of an ungrateful president, who has done so much to destroy the fabric of society and yet put back so little to benefit those that cannot afford to send their children abroad to study, nor afford to travel to Germany for routine health checks. All of you opposing EBK’s trips abroad for medical check ups will soon be called unpatriotic and jealous haters of progress. His handlers will start writing articles with examples of other African leaders who do the same thing. They will hold this up as the standard of good leadership. This is such a shameless president. Even as new cases of Ebola are being reported, he is boldly seeking medical care overseas. Even with Ebola, how many preventable deaths have occurred under his watch? How many women have died while giving birth? How many children have died before age 5? Now he wants to be seen as a hero because he delayed seeking medical services aboard. Wow, the audacity of ineptitude. Thank you for your professionalism and independent reporting. First of all we have to look at how Koroma came to office during the 2007 elections, wherein 3 out of the 4 electoral commissioners openly dismissed the results of the so-called chief electoral commissioner Christina Thorpe. What we are seeing and hearing is that the so-called leader has amassed wealth of over $200 million dollars. And when he took over leadership from the former SLPP government that was able to overcome the loopholes and burdens of financial debt left by the APC and their military junta colleagues, Sierra Leone was debt free and had substantial revenue for his government to use. Let me tell you Ernest Koroma that the world, including Ecowas, is watching you and your government. I may not want to hold Ernest Bai Koroma and his government wholly and solely responsible for the country’s present situation. Most leaders at the inception of power have very good intentions for their beloved countries. Most of them unfortunately carry their dreams alone throughout their terms of office. They are mostly surrounded by so-called patriotic Sierra Leoneans having devious intentions. These are the illustrious sons and daughters of our Mama Salone trusted by our poor masses, who end up robbing them of the little they may have. So you see, this is no SLPP or APC matter. We must change our mentality. We must endeavor to always try to put out country and its people first when given responsible positions in government. If only we could abolish the SLPP an APC parties and introduce a party of national unity, Sierra Leone will be a better place in the world. A.P.C is a government that is characterized by thugs and thieves. Am not surprised at seeing or reading such article that is filled with betrayal. God help Sierra Leone, because this beautiful country has gone to the dogs. SHAME ON YOU PRESIDENT KOROMA!